As a business owner, property owner, or property manager, we understand that you are already busy, and have a responsibility to maintain your property to the highest standard. With Stach’s, you can rest assured that we can handle any size commercial plumbing problem, quickly and efficiently. Clogged drains, leaky pipes, or water floods can disrupt your daily business operations. Any of these things can cost you valuable revenue, as well as upsetting employees and customers. If you own or manage a rental property, a clogged or overflowing toilet or bathtub drain can cause problems in several of your units. This could lead to water damage in more than one unit, and the possible growth of mold. This could cause serious health concerns for your tenants. 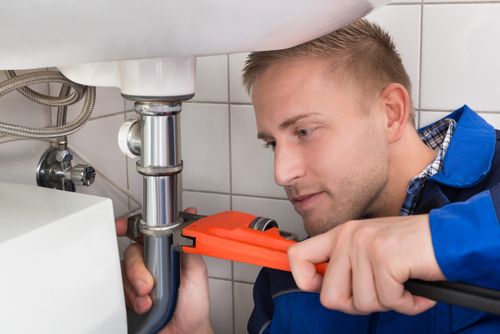 With more than a decade of experience in commercial plumbing Peoria, we handle anything from a clogged drain, to replacing and installing commercial grade water heaters. Let us help protect your business from costly water damage with our commercial plumbing services. We are an insured, licensed, and bonded Peoria plumber that takes pride in service that is not only high quality, but also very quick. We keep our overhead low, and pass the savings directly to you. As a local, Peoria family- owned business, our work is a direct extension of our name. Contact us today for friendly, professional service that will let you stay focused on your business.